A passport opens the door to the world. Filipino citizens can travel Visa-free or with Visa on arrival to more than 50 countries worldwide. Having a DFA Office at Robinsons Place Dumaguete makes it relatively easy to apply for one, or renew an expired one. Following are the passport requirements. If one takes care of all needed documents and papers, becoming a worldwide traveler is only an airline ticket away. Marriage Contract (MC) in Security Paper (SECPA) issued by the Philippine Statistics Authority (PSA) or original and photocopy of the Certified True Copy (CTC) of MC issued by the Local Civil Registrar (LCR) and duly authenticated by PSA. Transcribed Marriage Contract from the LCR is required when entries in PSA Marriage Contract are blurred or unreadable. Original and photocopy of Commission of Filipino Overseas (CFO) Guidance and Counseling Certificate of Attendance (required for women with foreign national husband). There are plenty of special cases regarding the Applications for a passport. We can not cover all of them here. If you need further info, get in touch with your closest DFA Office or check out the DFA Website. Senior citizen, solo parent (with official DSWD solo parent ID), children (7 years old and below), disabled people, pregnant and Overseas Filipino Workers (OFW). We are NOT the DFA office! For ANY passport related question, get in touch with the DFA office! There is an express option which takes 10 working days only at an additional cost of 250Php resulting in a total of 1,200.00Php. I just want to ask if i really need a confirmed appointment since i am a senior citizen and in the dfa website it says confirmed appointment except for senior citizen,minors ….? We highly recommend to give the office a call, to avoid an unpleasant experience. Sir ask ko lang pwede na ba ako Mag renew kahit 1 year nalang Para ma expired na passport ko..ma expired po sya this Feb 2020? Kindly get in touch with them. Hello . I want to ask if digitized postal id is accepted as a valid id for passport application. Hello Allen, thank you for your comment. Digitized postal IDs are accepted as mentioned under the Supporting Document List. For further questions, please contact your local DFA office. Hello once again. I only have an alumni id because im a fresh graduate can it be accepta le? hello, good day, im glad to hear that there’s DFA now in dumaguete. anyway i don’t understand what kind of document my mother and father in laws to get for their passport. what I’ve heared my father in law don’t have my any record when he was born. please I need all your help. I really want then to come and visit here in USA. You would need to give the office a call, or visit them to get all required information. do we need to set an appointment before going to dfa? by how..how could we set for an appointment..
Im here from dipolog city, can i go to dumaguete and get a passport without an appointment? I can’t call your numbers because i dont have a landline. Please contact Land line (035) 532-0019 and (035) 532- 0024. Can I just go there as walk in applicant or a call is A MUST for the appointment? please refer to the official DFA website. Can OFWs go directly (walk-in) to your branch for passport renewal? I heard DFA has express lane for OFWs, including seafarers. Yes, OFWs can go directly to the office with no any appointment needed. 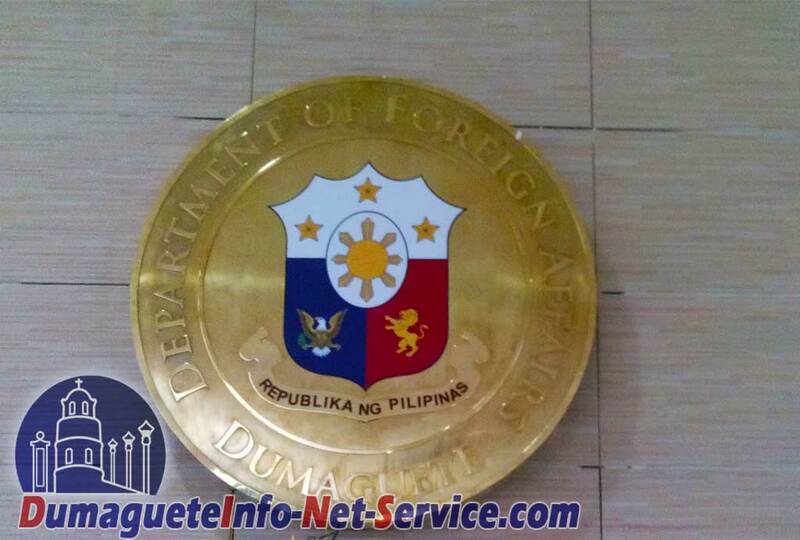 How to set an appointment in DFA dumaguete using online application? Because there is no DFA dumaguete when we open the DFA website (passport appointment) it was only in Manila. i cant see any icons for setting an appointment. how will it be done? Good Day, by the way i am Cyril Arriesgado 18 years old from Dapitan City,Zamboanga Del Norte, Philippines. I really want to get a PASSPORT but i just have 1 valid id which is my id in school, how can i get a passport when it stated on your requirements that it should be 2 VALID ID’S ?? 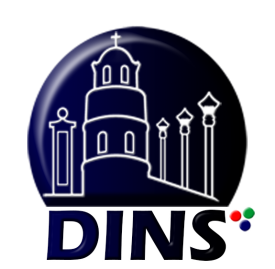 Dumaguete.com is a private run informational website about Dumaguete & Negros Oriental. For your concern you need to get in touch with the office in charge. we are a private run website. For your concerns you would need to get in touch with the office in charge. I’m from Dipolog City and the most easiest way for me to get a passport is in Dumaguete City aside from Zamboanga City. I just wanted know if the queue in getting passport is high so that we can manage the time on getting to Dumaguete from Dipolog. the best way is calling the DFA office in Dumaguete during office hours. They will also be able to answer all your questions. Hi good afternoon, this charlyn tanido. I would like to ask if how much that cost new passport? I already had NBI Police Clearance Barangay Married Sedula. Me i you if this documents it’s enough? Please let me know. …..? according to DFA Dumaguete processor, php 950.00 for 20 working days and Php 1,200.00 for 10 working days. just visit directly the DFA Dumaguete, be sure your in proper dress code. for more inquires, Please contact Land line (035) 532-0019 and (035) 532- 0024. I have a question regarding on renewing my passport, it’s been amended since March 2012 after I got married at the Philippine Embassy Seoul Korea. It will expire this coming September 2016 and I will renew it when I get there this 2nd week of July, I’ve been using my husbands surename purchasing tickets every time we travel and have no problem with it, my question is Do I need to undergo with CFO to renew my passport? I look forward for the answer . dumaguete.com is a private website. you would need to ask at the office. the number is in the article above. Hi!. Im trying to call ur office but the number u gave which is 5320024 is not in service and 5320019 just kept on ringing and no one answers. Is there any number i could reach u at? (035)532- 0024 and (035)532 0019. Gud day,,po taga dumaguete po ako,pero dito po ako nkatira sa Tarlac,gusto ko po kumuha ng passport jan sa dumaguete pag vacation ko,,this December po,ung postal I’d ki dto sa tarlac pwde ko po magamit jn? Thank you I’m Jo. Good Day, Please call the DFA office for your concern ..
hello. I just want to ask if NBI clearance is really needed in applying for passport because it is not stated their that it is a must. At least any 2 of the following only. I don’t have my Nbi yet because it will be release nxt week and I need to apply urgently because my employer cannot wait long. I only have here my Police, Barrangay clearance, form 137 and Voters Crtification. Thank you and hoping for immediate response..
please contact the DFA office via the numbers or email mentioned in the article above. i just wanna ask if i need to have an appointment first before i can renew my passport in your office in dumaguete? Good day can i ask i already have the confirmation code and i already sign the form online and it says i hav to print the download form..i hav an appointment this february is it necessary to give you a call? I look forward for the answer… I already emailed you but there is no reply..
from the article above you had most problems to understand? Good afternoon ma’am/sir I want to appointment new passport. Do u have a cellphone number for me to contact ? I am here from cebu city . i cannot call their landline. No there is no cellphone for the DFA Office. We are certain you can call a landline from a cellphone. You want a passport, you might invest 50 peso for load to call them or find a household with a landline. Hi good day.. im from Cebu .i would like to ask if I Can renew my passport in dumaguete when Cebu and Manila is fully booked until may? you can renew your passport at any DFA office, as long you make your online appointment. Hi po. I just want to ask if pwde po ba walk in? Hi goodmorning! I’m from cebu, i just want to know if we can renew our passport thru walk-in or we need to make an appointment before coming in dumaguete? How long would be the process im getting the passport? So we set a date on how long we will stay in dumaguete. Your very kind assistance is very much appreciated. Thank you! Just set your online appointment and have your requirements all together. Did you actually read AND understand the article which you are commenting on? Please do yourself a favor and read again. Your question is already answered there. If you still have any problems, please get back to us with the specific part you did have problems understanding. We are more than happy to help you out and explain it in detail. Hi, im from Cebu city and wanted to process my passport application in dumaguete city.. is that alright? Maam/Sir: I just want to ask if NBI is not available, what other supporting docs ang pwede? Because this coming saturday will be my appointment schedule, and I can only present my PRC, GSIS ecard, TOR(Transcript of Record, ), Birth Certificate, Police and Cedula. are these okay?. Thanks and God Bless! The best way to give information Regarding Requirements, is by Calling their office. hello good day, ask lang po sana about the requirements. Among the list of valid i.d. , alumni i.d. lang talaga as of now meron ako, I tried to get a gov. i. d. issue but hindi aabot sa appointment date ko which is 3wks from now. OK lang ba na alumni i.d. e. present ko. as valid i.d? Thank you. The DFA Office Dumaguete Contact Numbers are in the article above. San ba dito mkikita ang appointment form,? Hello! Thank you for messaging. hi ask lng ko renewal sa pasport in dumaguete ok lng po ba na wla appointment application walk.in renewal? please read the article above. it is clearly answered TWO TIMES! Yung Digitized Postal ID, valid na po ba yun na requirements ko for applying passport? hello wana ask panu po pag lost passport? If you lost your passport, you may work on your organizing skills, that it will not happen with any other valuable items, too. Hi! I would just like to ask when the next available time slot will be for Dumaguete for an appointment. Would it be possible for us to be updated if there is an available slot through text or email? Thanks! you can see here how to avail for an appointment. The article also includes the link to the appointment website of the government office. Sadly we see comments like that and wonder if the author actually took 5 minutes time to read AND understand where they are commenting on. That is leaving us with the opinion, that some people should not get a passport. It would not reflect very well on us Filipino. People abroad may think all Filipino are like this. Good Day! 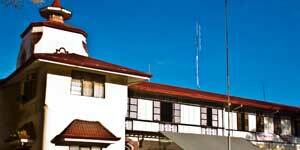 What is the exact location of the new DFA office there in dumaguete city. Please reply. Thank you. Please read the article. It is all there. Can I still use my NSO-issued Birth Certificate (the yellow one)? Also, can I just bring Police Clearance, instead of NBI Clearance? or do I need both? Please contact directly the DFA office. good day po.gosto ko po sana mag renew nang pastport sa DUMAGUETE wala na po kasi daw slot sa CEBU..
Good Day. I am from Bacong Negros Oriental working here in Dubai and planning to renew my passport in Dumaguete as it will expire this November. How many days it will takes to renew my passport? Please read the article again, and you will be guided in the right direction. Hi! I just want to ask if how am I goint to pay? Good day, if the ePayment for DFA Dumaguete is not activated yet, you will need to pay at the office during your appointment. I would like to ask regarding the epayment services, if after paying in a billing center, do i still need to pay an amount in the dfa upon appointmentnor not? If you pay full, there should be no added payment, unless you need changes, like express issuance. ano requirment ng minor illigitimate child. We are not the DFA office. You need to get in touch with them. Contacts are provided in the article. GOOD DAY! ASK KO LANG HO KASI NAGKAMALI AKO SA PASSPORT APPLICATION KO WHICH IS CITIZENSHIP ACQUIRED BY : DAPAT BIRTH YUN (NATURALIZATION )PO KASI NAILAGAY KO HINDI PO BA AKO MAGKAKAPROBLEMA DUN? PASSPORT RENEWAL PO YUNG APPOINTMENT KO . REPLY WILL BE MUCH APPRECIATED! We genuinely don’t know what to do or suggest since we are not the DFA. Please contact the DFA Office in which you applied for further assistance. Hello ,, I have sent an email ages ago but I haven’t got a respond yet. Since I’ve got too many questions to ask regarding the requirements to get a passport for a 15 year old girl, I was hoping that somebody could help me through this comment section.. I have tried visiting the website but there were some concerning issues like the page itself wont open or it would say that it is private. It also seems that there are heaps of special cases concerning the Applications.. I went to my appointment last October 8, and when i had my turn to go to the counter they told me that they will not accept my documents due to lacking of Valid Id’s i told them that it was on the site that company ID is acceptable but they told me that the site was not yet updated because company Id is no longer applicable even i brought along my supporting docs. I admitted that i don’t have any Valid Id’s with me since UMID will take 2 months to be received. But the thing is, they did not give me chance to show my supporting docs i pleaded to them since i came from Cebu to Dumaguete for the said appointment and i even paid 1250 for the rush process. I waited for about 1 month for the said appointment and then the outcome was not what i expected to be. They just told me they will not consider the company ID even i have my company certification. Now tell where is the justice in regards on this matter? Dumaguete DFA office is one of the RUDE government office ever, and that guy who entertain me i will never forget that face!!! Hi Goodmorning. I’m from Dipolog. Can i ask questions regarding confirmation email for booking appointment. I already paid the reference number that you already emailed. Then I do not receive any confirmation email that i book the appointment. What should i do with that? I will wait for your reply. Thankyou. Hi my passport is expired already and want to renew it. I would like to ask what requirements do I need since my passport was issued in Philippine Embassy in Hungary. Please contact the DFA Office of Dumaguete City. Hoew if no other valid ids yet but have an voters cert. , police clearance, and nbi. Could that be okey? hello good morning. What if there is an error in the application form in the complete address? How to correct it? Please contact your DFA Office. The error might or might not be changed during your actual appointment.